Owing to years of experience in the firm, we offer quality approved range of Aluminum Rescue Blanket that are easy to spread and comes in standard lengths. Our entire product range is extremely light in weight and ensures gin finishing. They are water proof in nature and are delivered in standard lengths. 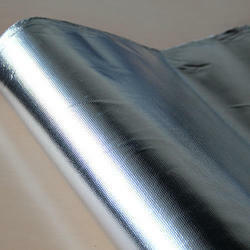 We have gained a remarkable position in the industry by offering a commendable range of Aluminized Fire Blanket. Our experienced procuring agents help us select the authentic vendors to procure the entire range. The offered range is manufactured at our vendors' end using premium quality raw material and modern machines. Material: Aluminized fiberglass/ asbestos material. - Easy to hang and easy to carry and use for kitchen fires and other applications. - Certifying to ce standard : en 1869:1997 standards as per european norms. 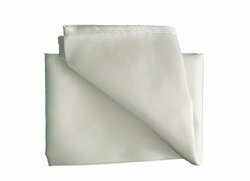 - We also do customization of the blankets, as per your requirement of sizes in house with less internal seams joints. We are Manufacturer of Premium High Quality WELDING BLANKET for High-Temperature Application.